FiFi Frilled Parasol, Cream - Umbrella Heaven, 1000+ umbrellas! 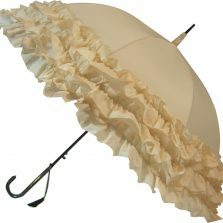 In particular the FiFi Creme Frilled Parasol makes for the perfect cream wedding umbrella. 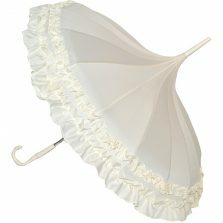 A sumptuously frilly cream wedding umbrella or bridal parasol for both bride and bridesmaids. Further features strong flexible fibreglass ribs for wind resilience, an elegant matching bamboo effect crook handle and tip. 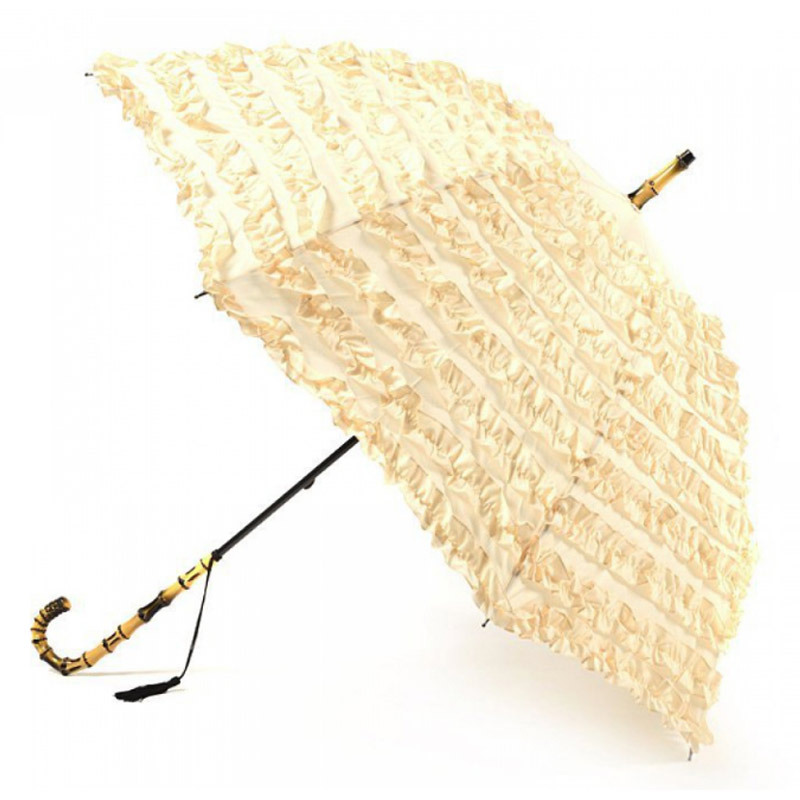 This sumptuously frilly cream umbrella really sets the field apart. It’s a truly beautiful ladies umbrella parasol. 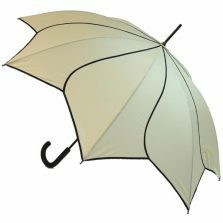 The FiFi Creme manual operation, walking length, umbrella and parasol has a canopy width of 105 cm. In answer to the obvious question, yes it’s completely rainproof. Summer parasol or stylish umbrella… you can use FiFi in the way that suits you. Not the one for you? 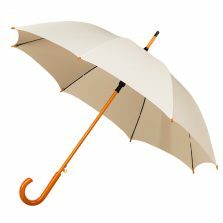 Check out the rest of our range of quality wedding umbrellas!